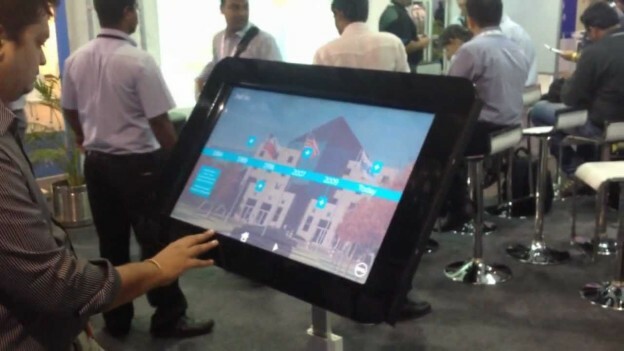 The interactive display made way finding an engaging and informative exercise at Infocomm 2014. 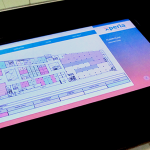 Brief:When an AV event is as high profile and technology driven as the InfoComm 2014, it is a given that the displays and the way finding solutions have to be equally spectacular. 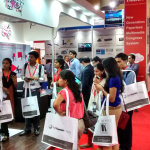 InfoComm chose TouchMagix as their official interactive screen partner to make sure that the visitors get an exceptional experience when they search for the event information. 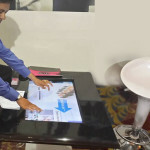 TouchMagix provided 4 interactive MagixKiosks™ which had 32 inch display screens to provide way finding solutions to the visitors. 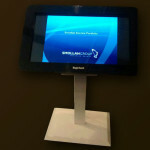 3 of these MagixKiosks™ were located near the reception and registration area and one was placed outside the seminar hall. 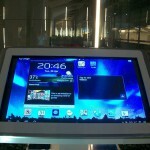 The main function of these kiosks was to provide required directions to the visitors. 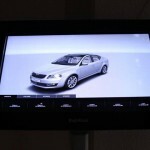 Our way finding solution was, however, far more comprehensive. 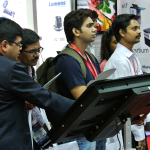 The kiosks not only fulfilled the primary role of providing directions to the stalls but would also throw up additional information regarding the company and its products as well. 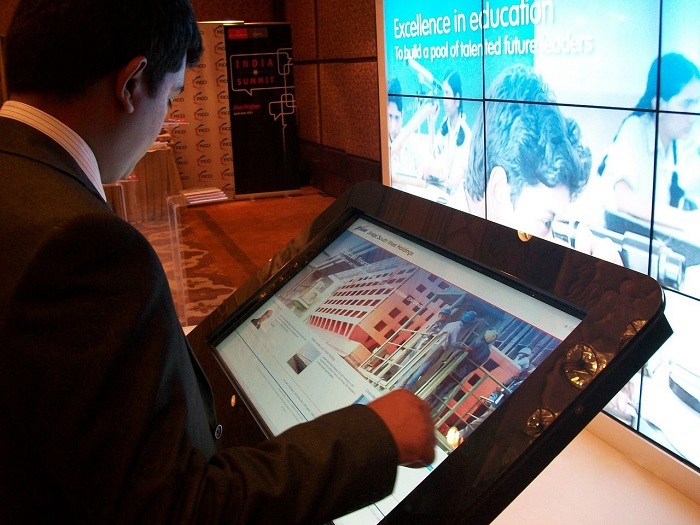 People could also get all the information they needed on the seminars apart from providing the directions to the seminar halls, the kiosk also provided bios of the speakers as well making these kiosk more of information centres. 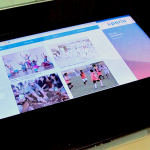 The visitors made full use of these kiosks and we witnessed a large number of people queueing up to operate it and gather information. 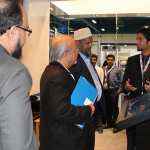 These information kiosks were a phenomenal success and saw a great appreciation not only from the visitors but the InfoComm officials as well. 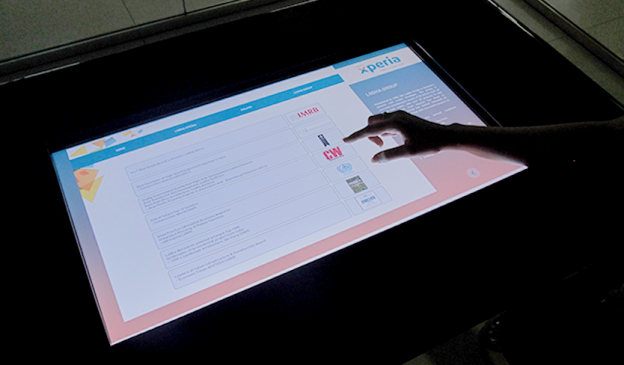 Impact: The interactive display made way finding an engaging as well as informative exercise. 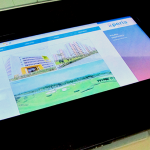 This entry was posted in Event and Media, MagixKiosk, MagixTouch and tagged corporate event, Event, infocomm, interactive, interactive magixkiosk, MagixKiosk, MagixKiosk Multi-Touch, way finding on September 29, 2014 by Touchmagix. 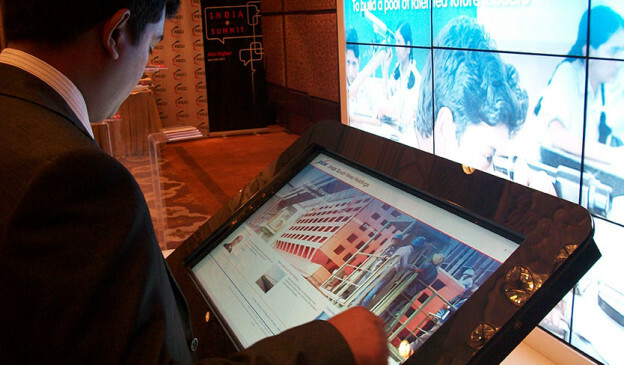 The interactive display proved to be the perfect channel to deliver rich content and keep visitors engaged in an IT exhibition. 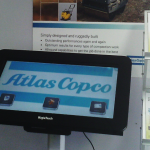 When one of the world’s leading technology solution providers decided to participate in an IT exhibition, they had to make sure that their displays were as cutting edge as their solutions and products. 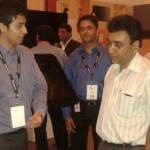 Since their inception in 1984, Dell has been driven towards providing long term value and customer driven innovation. 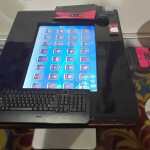 To showcase this aspect they decided to use the MagixKiosk™ Multi-Touch systems to engage their visitors at this IT exhibition. 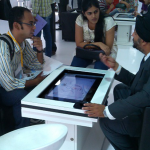 Multiple MagixKiosk™ Multi-Touch systems were placed at the Dell Systems exhibition booth. 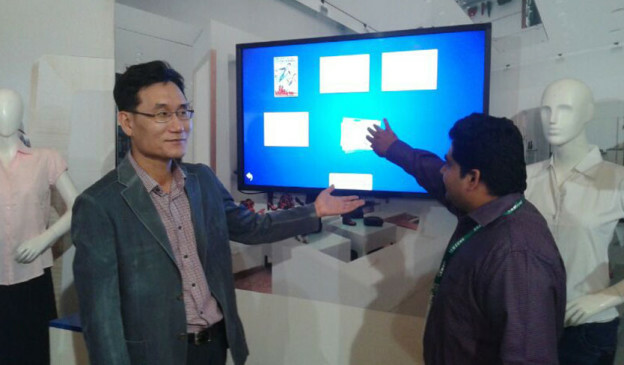 A special log in screen with hand reading capabilities was created for them. When the visitor touched his palm to the screen it converted to the Dell logo. 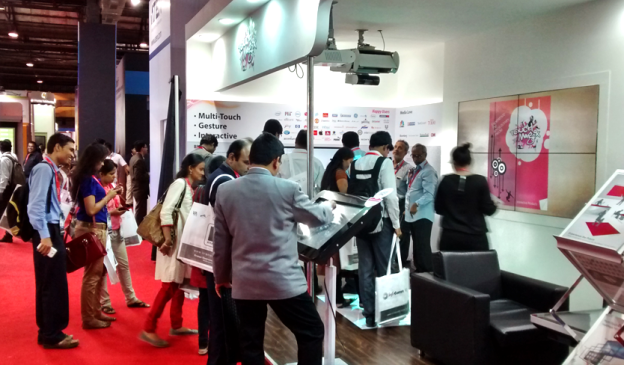 The visitor then could navigate through the exhibit and take a look at the Dell success story, discover Dell products and read about customer case studies. 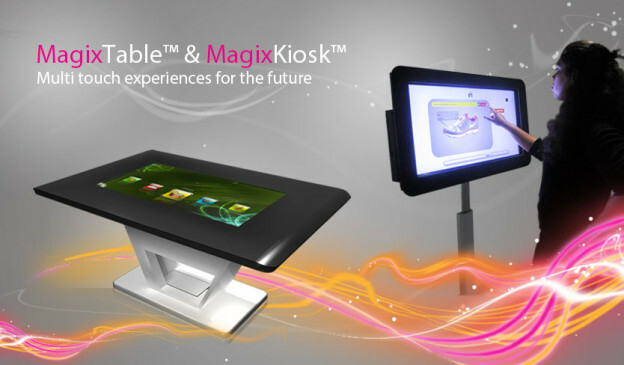 The MagixKiosk™ Multi-Touch allowed the customers to browse through interactive graphs and also match data with their facts. A unique wipe effect allowed the customers to uncover underlying stories left visitors feeling fascinated. 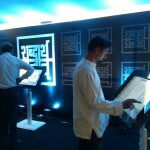 This interactive experience left the visitors not just well informed but immensely impressed as well. 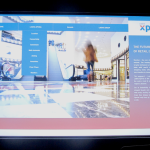 Impact: The interactive display proved to be the perfect channel to deliver rich content and keep visitors engaged. 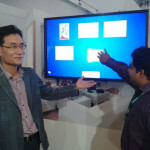 This entry was posted in Advertising, Corporate and Industrial, Exhibition, IT-ITES, Technology and tagged Conference Branding, Dell, Event Branding, Exhibition, Expo, MagixKiosk, MagixKiosk Multi-Touch, MagixTouch, Marketing Campaign, Multi-Touch systems, Technology on October 17, 2012 by Touchmagix.